CSC Applied Technologies L.L.C., Fort Worth, Texas, (FA4861-08-C-C001) is being awarded a $32,969,475 firm-fixed-price with reimbursable contract line items (CLINs) for travel, overtime and materials/parts contract for Nellis Backshop Maintenance A-76 requirement. The location of the performance is Nellis Air Force Base, Nev. Work is expected to be completed by Jan. 31, 2014. The contracting activity is 99 CONS/LGCC, Nellis AFB, Nev. Type of appropriation is fiscal 2013. General Dynamics C4 Systems Inc., Needam, Mass., (FA8307-09-C-0013, P00027) is being awarded a $9,286,309 firm-fixed-price contract to support the Remote Re-key Modernization Program. The location of the performance is Needam, Mass. Work is expected to be completed by Jan. 31, 2014. The contracting activity is AFLCMC/HNCKS, Joint Base San Antonio-Lackland, Texas. One proposal was received. Type of appropriation is fiscal 2012 and fiscal 2013. Systems Engineering Group Inc., Columbia, Md. is being awarded an $11,479,643 cost-plus-incentive-fee contract for Aegis Ballistic Missile Defense (ABMD) threat engineering services. This procurement is for integrated system and threat engineering support to the ABMD. This system and threat engineering support provides for integrated weapon systems and missile development, test, and evaluation as it relates to system and threat engineering analytical tools, computer models, hardware enhancements and data generation. This contract includes options which, if exercised, would bring the cumulative value of this contract to $35,530,805. Work will be performed in Columbia, Md. (97 percent) and Dahlgren, Va. (3 percent), and is expected to be completed by January 2014. Fiscal 2013 Research, Development, Testing and Evaluation funds in the amount of $11,479,643 will be obligated at time of award and will not expire at the end of the current fiscal year. This contract was not competitively procured in accordance with 10 U.S.C. 2304 (c) (1), as implemented in FAR 6.302-1: The supplies or services required are available from only one responsible source and no other type of supplies or services will satisfy agency requirements. The Port Hueneme Division, Naval Surface Warfare Center, Port Hueneme, Calif., is the contracting activity (N63394-13-C-5001). O.E.S. Inc., Wainwright, Alaska*, was issued a modification exercising the first option year on contract SP3300-10-C-0037/P00021. The modification is a fixed-price incentive firm target contract with a maximum $8,606,686 for warehouse and distribution support services of installation property and equipment that is not government-furnished. Location of performance is Alaska and California with a Jan. 31, 2016 performance completion date. Using military service is Defense Logistics Agency. There were five responses to the Federal Business Opportunities solicitation. Type of appropriation is fiscal 2013 Defense Working Capital funds. 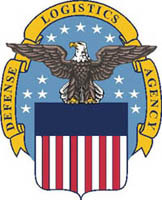 The contracting activity is the Defense Logistics Agency Distribution, New Cumberland, Pa.
Rolls-Royce Corp., Indianapolis, Ind., is being awarded an $83,730,834 modification to a previously awarded firm-fixed-price contract (N00019-12-C-0007) to exercise an option for the procurement of 38 V-22 AE1107C turboshaft production engines (34 for the U.S. Navy and four for the U.S. Air Force). Work will be performed in Indianapolis, Ind., and is expected to be completed in December 2014. Contract funds in the amount of $83,730,834 will be obligated at time of award, none of which will expire at the end of the current fiscal year. The applicable contract funds are fiscal year 2012 — Aircraft Procurement, Navy and fiscal year 2013 — Aircraft Procurement, Air Force. This contract combines purchases for the U.S. Navy ($74,917,062), and the U.S. Air Force ($8,813,772). The Naval Air Systems Command, Patuxent River, Md. is the contracting activity. Ace Info Solutions Inc.*, Reston, Va. (N65236-13-D-4939); aVenture Technologies L.L.C. *, Vienna, Va. (N65236-13-D-4940); Barling Bay L.L.C. *, North Charleston, S.C. (N65236-13-D-4941); Centuria Corp.*, Reston, Va., (N65236-13-D-4942); DKW Communications Inc.*, Washington. D.C. (N65236-13-D-4943); Dynamic Network Enterprises*, Stafford, Va. (N65236-13-D-4944); ECSI International Inc.*, Clifton, N.J. (N65236-13-D-4945); Imagine One StraCon Venture L.L.C. *, Fort Worth, Texas (N65236-13-D-4946); Integrated Technology Solutions Group Joint Venture*, Fairfax, Va. (N65236-13-D-4947); Mandex Inc.*, Fairfax, Va. (N65236-13-D-4948); Product Data Integration Technologies Inc.*, North Charleston, S.C. (N65236-13-D-4949); Network Security Systems Plus Inc.*, Falls Church, Va. (N65236-13-D-4950); and Sysorex Government Services Inc.*, Herndon, Va. (N65236-13-D-4951) are each being awarded an indefinite delivery/indefinite quantity, cost-plus-fixed-fee, with provisions for fixed-price-incentive (firm target) and firm-fixed-price task orders, performance based contract for the procurement of business and force support services including the entire spectrum of non-inherently governmental services and solutions (equipment and services) associated with the full system lifecycle support including research, development, test, evaluation, production and fielding of sustainable, secure, survivable, and interoperable Command, Control, Communication, Computers, Combat Systems, Intelligence, Surveillance, Reconnaissance (C5ISR), Information Operations, Enterprise Information Services and Space capabilities. The cumulative, estimated value of the base year is $49,918,000. Fiscal year 2013 contract funds in the amount of $15,000 will be obligated at the time of award. These contracts include options which, if exercised, would bring the cumulative value of these contracts to an estimated $249,590,000. Work will be performed worldwide. Work is expected to be completed by January 2014. If all options are exercised, work could continue until January 2018. Contract funds will not expire at the end of the current fiscal year. The multiple award contracts were competitively procured by full and open competition after exclusion of sources under small business set-aside provisions (10 U.S.C. 2304 (b) (2)) via the Space and Naval Warfare Systems Center e-Commerce Central website and the Federal Business Opportunities website, with 27 offers received. Space and Naval Warfare Systems Center Atlantic, Charleston, S.C., is the contracting activity. General Dynamics Electric Boat Corp., Groton, Conn., is being awarded a $41,581,130 firm-fixed-priced modification to the previously awarded contract (N00024-12-C-4301) to exercise the option for the execution work necessary to prepare and accomplish maintenance and modernization work of the fiscal year 2013 dry-docking selected restricted availability of the USS Hartford (SSN 768). This scope of work encompasses required maintenance activities necessary to maintain full unrestricted operation of the submarine, as well as upgrades and modernization efforts required to ensure the submarine is operating at full technical capacity. Work will be performed in Groton, Conn. (95 percent), and Quonset Point, R.I. (5 percent), and is expected to be completed by July 2013. Funding in the amount of a $41,581,130 will be obligated at time of award, and will expire at the end of the current fiscal year. The applicable funds are fiscal year 2013 Operations and Maintenance, Navy. The Naval Sea Systems Command, Washington, D.C., is the contracting activity. Raytheon Missile Systems, Tucson, Ariz., is being awarded a $33,315,972 cost only contract for procurement of long lead material in support of fiscal 2013 Standard Missile-6 (SM-6) Block I all up rounds. Work will be performed in Camden, Ark. (72.6 percent), Andover, Mass. (11.5 percent), Wolverhampton, United Kingdom (9.8 percent), Tucson, Ariz. (2 percent), San Carlos, Calif. (1.1 percent), San Diego, Calif. (.9 percent), Anniston, Ala. (.7 percent), Middletown, Conn. (.6 percent), Joplin, Mo. (.5 percent), and Milwaukie, Ore. (.3 percent), and is expected to be completed by February 2015. Funding the amount of $33,315,972 will be obligated at time of award. Contract funds will not expire at the end of the current fiscal year. The applicable funds are fiscal 2012 Operations and Maintenance, Navy. This contract was not competitively procured in accordance with 10 U.S.C. 2304 (c) (1), as implemented in FAR 6.302-1: The supplies or services required are available from only one responsible source and no other type of supplies or services will satisfy agency requirements. The Naval Sea Systems Command, Washington, D.C., is the contracting activity (N00024-13-C-5407). The Boeing Co., Seattle, Wash., is being awarded a $19,735,503 modification to a previously awarded firm-fixed-price contract (N00019-09-C-0022) for the procurement of additional equipment adaptors, support equipment, and technical publications for the P-8A aircraft. Work will be performed in Dallas, Texas (70.8 percent); Seattle, Wash. (15.7 percent); St. Peters, Mo. (10.7 percent); Falls Church, Va. (1.2 percent); Chatsworth, Calif. (.6 percent); Anaheim, Calif. (.2 percent); El Dorado Hills, Calif. (.2 percent); and Berwyn, Pa. (.2 percent); Camden, N.J. (.2 percent); and New York, N.Y. (.2 percent); and is expected to be completed in April 2015. Contract funds in the amount of $19,735,503 are being obligated on this award, all of which will expire at the end of the current fiscal year. The applicable contract funds are fiscal 2011 Aircraft Procurement, Navy. The Naval Air System Command, Patuxent River, Md., is the contracting activity. Energy Solutions Services Inc., Oak Ridge, Tenn., is being awarded a $14,396,539 firm-fixed-priced, indefinite-delivery requirements contract for recycling of various heavy metal bearing equipment, lead scrap, ferrous and non-ferrous metals contaminated with radiation and the volume reduction of radioactive waste produced at various Navy Nuclear Propulsion Program facilities throughout the United States. This contract contains two option years, which if exercised, will bring the contract value to $44,222,300. Work will be performed in Oak Ridge, Tenn., and the expected completion date is Jan. 31, 2014. If the options are exercised, work will continue through Jan. 31, 2016. Funding for this contract will be individual task orders. No funds will be obligated at time of award and therefore, will not expire before the end of the current fiscal year. This contract was not competitively procured in accordance with 10 U.S.C. 2304 (c) (1). NAVSUP Fleet Logistics Center Norfolk, Va., is the contracting activity (N00189-13-D-E001). Robertson Fuel Systems L.L.C., Tempe, Ariz., is being awarded a $7,073,997 modification to a previously awarded firm-fixed-price contract (N00019-12-C-0097) to exercise the option for the procurement of 15 CV-22 Mission Auxiliary Fuel Tank Systems (MATS) and associated equipment required to support squadron stand-ups. Work will be performed in Tempe, Ariz., and is expected to be completed in April 2014. Contract funds in the amount of $7,073,997 are being obligated on this award, all of which will expire at the end of the current fiscal year. The applicable contract funds are fiscal year 2011 Aircraft Procurement, Air Force. The Naval Air Systems Command, Patuxent River, Md., is the contracting activity. Lockheed Martin Corp., Newton, Pa., (FA8823-13-C-0001) is being awarded a $68,856,746 fixed-price, incentive-firm contract for Global Positioning Systems On-Orbit support. The location of the performance is Colorado Springs, Colo. Work is expected to be completed by July 31, 2018. The contracting activity is SMC/PKP, Peterson Air Force Base. Colo. This award is the result of a sole source acquisition. Type of appropriation is fiscal 2013 through fiscal 2018. Exelis Systems Corp., Colorado Springs, Colo., (F9628-02-C-0010, P00420) is being awarded a $37,060,527 contract modification contract for Systems Engineering and Sustainment Integration (SENSOR) Sustainment. The location of the performance is worldwide. Work is expected to be completed by Sept. 30, 2013. The contracting activity is AFLCMC/HBQK, Peterson Air Force Base. Colo. Type of appropriation is fiscal 2013. DRS-Sustainment Systems Inc., St. Louis, Mo., (FA8519-12-D-0002-0018) is being awarded a $18,142,097 hybrid fixed-price-incentive, firm-fixed-price, indefinite-delivery/indefinite-quantity requirements contract for overhaul of Tunner Aircraft Cargo Loaders in support of the Tunner 60K Loader Program. The location of the performance is West Plains, Mo. Work is expected to be completed by March 13, 2014. The contracting activity is AFLCMC/WNKBBA, Robins Air Force Base, Ga. One proposal was received. Type of appropriation is fiscal 2013. Lockheed Martin Corp., Marietta, Ga., (FA8525-13-D-0001) is being awarded a $16,078,108 firm-fixed-price, cost-plus-fixed-fee and cost reimbursement contract for replenishment spares and repairs in support of the Avonics Modernization and Reliability Enhancement and Re-engining Programs for the C-5 aircraft. The location of the performance is Marietta, Ga. Work is expected to be completed by Jan. 31, 2014. The contracting activity is AFLCMC/WLKB, Robins Air Force Base, Ga. This award is a result of a sole source acquisition. Type of appropriation is fiscal 2013. ITT Exelis Inc., Fort Wayne, Ind., (FA8803-13-C-0006) is being awarded a $12,706,126 cost-plus-fixed-fee contract for support to the Weather Satellite Follow-on Broad Agency Announcement. The location of the performance is Fort Wayne, Ind. Work is expected to be completed by Jan. 31, 2014. The contracting activity is SMC/DWSD, Los Angeles Air Force Base, Calif. Type of appropriation is fiscal 2012. Wolverine Services L.L.C., Anchorage, Alaska*, was issued a modification exercising the first option year on contract SP3300-11-C-0003/P00003. The modification is a firm-fixed-price with time and material line items contract with a maximum $6,726,571 for facility operations, maintenance, and repair of installation property and equipment that is not government-furnished. Location of performance is Alaska and California with a Jan. 31, 2017 performance completion date. Using military service is Defense Logistics Agency. There were four responses to the Federal Business Opportunities solicitation. Type of appropriation is fiscal 2012 Defense Working Capital funds. The contracting activity is the Defense Logistics Agency Distribution, New Cumberland, Pa. The Matthews Group Inc.*, Purcellville, Va., is being awarded a maximum $19,500,000 indefinite-delivery/indefinite-quantity job order contract for maintenance, construction, alteration and repair of industrial, commercial, and utility projects to government facilities at various Department of Defense activities within Maryland, Virginia, and Washington, D.C. The maximum dollar value, including the base period and four option years, is $97,500,000. No task orders are being issued at this time. All work will be performed in Naval Support Activity Washington, Washington, D.C., (30 percent); Regional Officer in Charge of Construction Quantico, Quantico, Va., (27 percent); Naval Support Activity Bethesda, Bethesda, Md., (25 percent); and Joint Base Anacostia-Bolling, Washington, D.C., (18 percent), with an expected completion date of January 2014. Contract funds in the amount of $50,000 are obligated on this award and will expire at the end of the current fiscal year. 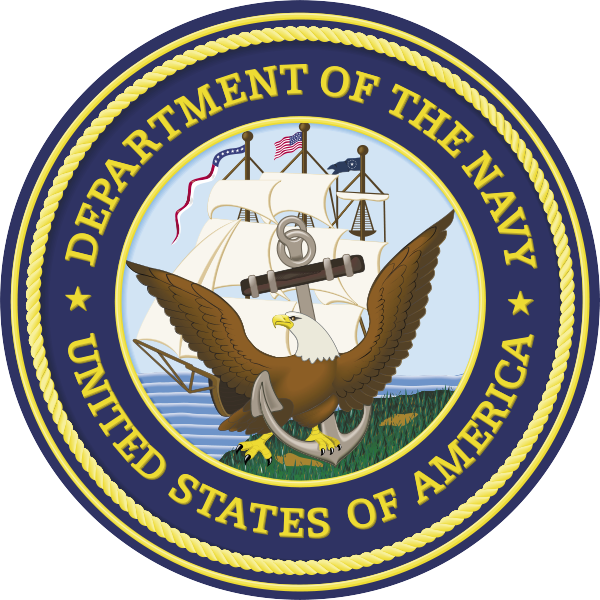 This contract was competitively procured via the Navy Electronic Commerce Online website with twenty-one proposals received. The Naval Facilities Engineering Command, Washington, Washington, D.C., is the contracting activity (N40080-13-D-0356). The Matthews Group Inc.*, Purcellville, Va., is being awarded a maximum $19,500,000 indefinite-delivery/indefinite-quantity job order contract for maintenance, construction, alteration and repair of industrial, commercial, and utility projects to government facilities at various Department of Defense activities within Maryland, Virginia, and Washington, D.C. The maximum dollar value, including the base period and four option years, is $97,500,000. No task orders are being issued at this time. All work will be performed at Naval Support Facilities in Patuxent River, Md., (31 percent); Dahlgren, Va., (30 percent); Indian Head, Md., (22 percent); and U.S. Naval Academy, Annapolis, Md., (17 percent), with an expected completion date of January 2014. Contract funds in the amount of $50,000 are obligated on this award and will expire at the end of the current fiscal year. This contract was competitively procured via the Navy Electronic Commerce Online website, with twenty proposals received. The Naval Facilities Engineering Command, Washington, Washington, D.C., is the contracting activity (N40080-13-D-0355). PPG Industries Inc., Alexander, Ark., is being awarded a $10,395,621 modification under a previously awarded indefinite-delivery/indefinite-quantity contract (N00033-09-D-8010) to exercise a one-year option period for the supply of paints, coatings, solvents, preservation products and engineering services as part of Military Sealift Command’s Fleet Paint Program. Work will be performed at ports worldwide as needed, and is expected to be completed by January 2014. Contract funds in the amount of $10,395,621 will be obligated on individual task orders for fiscal 2013. Contract funds will not expire at the end of the current fiscal year. Military Sealift Command, Washington, D.C., is the contracting activity (N00033-09-D-8010). General Dynamics Electric Boat Corp., Groton, Conn., is being awarded a $7,289,440 cost-plus-fixed-fee modification to previously awarded contract (N00024-12-C-4305) to exercise an option to provide Nuclear Regional Maintenance Department tasks in support of operational nuclear submarines at the Naval Submarine Support Facility, Naval Submarine Base, New London, Conn. Work will be performed in New London, Conn., and is expected to be completed by May 2013. The applicable fiscal 2012 Operations and Maintenance, Navy contract funds in the amount of $7,289,440 will expire at the end of the current fiscal year. The Naval Sea Systems Command, Washington, D.C., is the contracting activity. Criticare Systems Inc., Waukesha, Wis., was issued a modification exercising the first option year on contract (SPM2D1-12-D-8301/P00001). The modification is a fixed-price with economic-price-adjustment contract with a maximum $17,799,831 for patient monitoring systems, subsystems, accessories, consumables, spare/repair parts, and training. Location of performance is Wisconsin, with a Jan. 31, 2014 performance completion date. Using military services are Army, Navy, Air Force, Marine Corps, and federal civilian agencies. There were seventeen solicitations with nine responses. Type of appropriation is fiscal 2013 and fiscal 2014 Defense Working Capital funds. The contracting activity is the Defense Logistics Agency Troop Support, Philadelphia, Pa.
Dentsply Caulk, Millford, Del., was issued a modification exercising the third option year on contract (SPM2DE-09-D-7445/P00009). The modification is a fixed-price with economic-price-adjustment, indefinite-delivery/indefinite-quantity contract with a maximum $14,691,014 for distribution of a wide range of general dental supplies. Location of performance is Delaware, with a Feb. 11, 2014 performance completion date. Using military services are Army, Navy, Air Force, Marine Corps, and federal civilian agencies. There were ten responses to the DLA Internet Bid Board solicitation. Type of appropriation is fiscal 2013 Defense Working Capital funds. The contracting activity is the Defense Logistics Agency Troop Support, Philadelphia, Pa.
Jacobs Technology Inc., Tullahoma, Tenn., (FA8721-13-F-8012) is being awarded a $12,500,000 firm-fixed-price, General Services Administration contract for Engineering and Technology Acquisition Support Services. The location of the performance is Hanscom Air Force Base, Mass. Work is expected to be completed by May 14, 2013. The contracting activity is AFLCMC/PZE, Hanscom Air Force Base, Mass. This award is the result of a sole source acquisition. Type of appropriation is fiscal 2011 through fiscal 2013. Contract involves Foreign Military Sales. Toshiba America Medical Systems Inc., Tustin, Calif., was issued a modification exercising the fourth option year on contract SPM2D1-09-D-8322/P00038. The modification is a fixed-price with economic-price-adjustment contract with a maximum $214,041,309 for radiology systems, subsystems and components. Location of performance is California with aFeb. 3, 2014 performance completion date. Using military services are Army, Navy, Air Force, Marine Corps, and federal civilian agencies. There were forty-three responses to the Web solicitation. Type of appropriation is fiscal 2013 and fiscal 2014 Defense Working Capital funds. The contracting activity is the Defense Logistics Agency Troop Support, Philadelphia, Pa.
U.S. Foods International Inc., Gardena, Calif.*, was issued a modification exercising the third option year on contract SPM300-09-D-3310/P00034. The modification is a fixed-price with economic-price adjustment, indefinite-delivery/indefinite-quantity type contract with a maximum $42,100,000 for Prime Vendor Full Line food distribution for Republic of Korea. Location of performance is California with a Jan. 31, 2014 performance completion date. Using military services are Army, Navy, Air Force, Marine Corps, federal civilian agencies, and other authorized Department of Defense customers. There were five responses to the DLA Internet Bid Board solicitation. Type of appropriation is fiscal 2013 and fiscal 2014 Defense Working Capital funds. The contracting activity is the Defense Logistics Agency Troop Support, Philadelphia, Pa.
Vital Images Inc., Minnetonka, Minn., was issued a modification exercising the second option year on contract SPM2D1-11-D-8342/P00005. The modification is a fixed-price with economic-price-adjustment contract with a maximum $11,772,409 for radiology systems, subsystems, and components. Location of performance is Minnesota with a Jan. 31, 2014 performance completion date. Using military services are Army, Navy, Air Force, Marine Corps, and federal civilian agencies. There were forty-three responses to the Web solicitation. Type of appropriation is fiscal 2013 and fiscal 2014 Defense Working Capital funds. The contracting activity is the Defense Logistics Agency Troop Support, Philadelphia, Pa.
Lockheed Martin Space Systems Co., Sunnyvale, Calif., (FA8810-08-C-0002, P00054) is being awarded a $58,408,979 contract modification for the Space Based Infrared Systems Follow-on Production Program. The location of the performance is Sunnyvale, Calif. Work is expected to be completed by April 28, 2016. The contracting activity is SMC/ISK, Los Angeles Air Force Base, Calif. Type of appropriation is fiscal 2013. Lockheed Martin Services Inc., Gaithersburg, Md., (FA8730-13-D-0009) is being awarded a $49,600,000 indefinite-delivery/indefinite-quantity contract for sustainment and maintenance of the Global Strike and Product Support suite of software applications within the Mission Planning and Anaylsis System framework. The location of the performance is Offutt Air Force Base, Neb. Work is expected to be completed by Jan. 31, 2018. The contracting activity is AFLCMC/HBCC, Offutt Air Force Base, Neb. This award is the result of a full and open competitive acquisition and two offers were received. Type of appropriation is fiscal 2013 through fiscal 2018. Cubic Simulation Systems Inc., Orlando, Fla., is being awarded a $99,500,000 ceiling-priced indefinite-delivery/indefinite-quantity contract for the Littoral Combat Ship freedom variant courseware development. This contract provides for approximately 3,500 hours of instructor-led (synchronous) and instructor facilitated self-paced (asynchronous) courseware in support of the Littoral Combat Ship Train to Qualify (T2Q) and Train to Certify (T2C) shore-based training requirements. Work will be performed in Orlando, Fla., and is expected to be completed in January 2018. Contract funds in the amount of $221,985 will be obligated at time of award, none of which will expire at the end of the current fiscal year. This contract was competitively procured via an electronic request for proposals; five offers were received. The Naval Air Warfare Center Training Systems Division, Orlando, Fla., is the contracting activity(N61340-13-D-0001). Cubic Simulation Systems Inc., Orlando, Fla., is being awarded a $99,500,000 ceiling-priced indefinite-delivery/indefinite-quantity contract for the Littoral Combat Ship independence variant courseware development. This contract provides for approximately 3,500 hours of instructor-led (synchronous) and instructor facilitated self-paced (asynchronous) courseware in support of the Littoral Combat Ship Train to Qualify (T2Q) and Train to Certify (T2C) shore-based training requirements. Work will be performed in Orlando, Fla., and is expected to be completed in January 2018. Contract funds in the amount of $221,985 will be obligated at time of award, none of which will expire at the end of the current fiscal year. This contract was competitively procured via an electronic request for proposals; five offers were received. The Naval Air Warfare Center Training Systems Division, Orlando, Fla., is the contracting activity(N61340-13-D-0002). Cubic Simulation Systems Inc., Orlando, Fla., is being awarded a $99,500,000 ceiling-priced indefinite-delivery/indefinite-quantity contract for the Littoral Combat Ship mission packages courseware development. This contract provides for approximately 3,500 hours of Immersive Virtual Ship Environment-Interactive Multimedia Instruction (IVSE IMI) in support of the Littoral Combat Ship Train to Qualify (T2Q) and Train to Certify (T2C) shore-based training requirements. Work will be performed in Orlando, Fla., and is expected to be completed in January 2018. Contract funds in the amount of $221,985 will be obligated at time of award, none of which will expire at the end of the current fiscal year. This contract was competitively procured via an electronic request for proposals; three offers were received. The Naval Air Warfare Center Training Systems Division, Orlando, Fla., is the contracting activity(N61340-13-D-0003). Patriot Contract Services L.L.C., Concord, Calif., is being awarded a $10,293,073 modification under a previously awarded firm-fixed-price contract (N00033-10-C-5301) to exercise a one-year option period for the operation and maintenance of four large, medium-speed, roll-on/roll-off ships. When activated, these ships transport equipment and supplies for deployed U.S. military forces worldwide. Work for this option period will be performed in Baltimore, Md., (43percent); Violet, La., (43percent), and at sea worldwide (14 percent), and is expected to be completed by January 2014. Contract funds in the amount of $6,965,449 are obligated for fiscal 2013. Contract funds will not expire at the end of the current fiscal year. 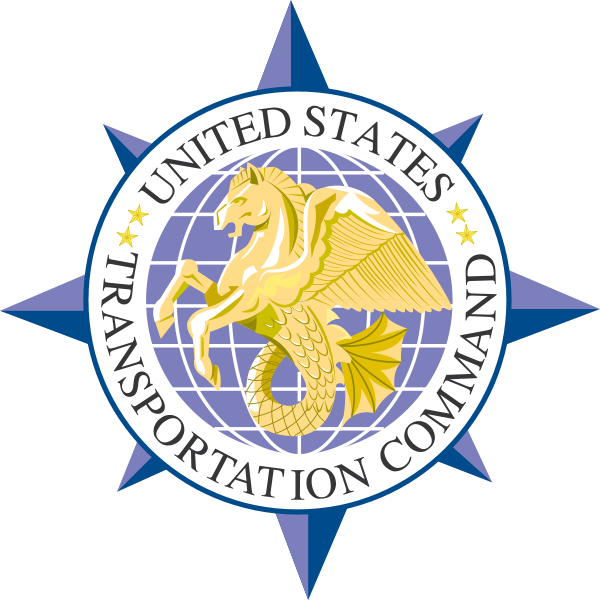 Military Sealift Command, Washington, D.C., is the contracting activity (N00033-10-C-5301). Southeast Aerospace Inc., Melbourne, Fla., is being awarded a $9,108,235 firm-fixed-price, indefinite-delivery/indefinite-quantity, requirements contract for the purchase of part kits for Avionics System Upgrade (ASU) for the T-44 aircraft. This contract contains two option years, which if exercised, would bring the contract value to $18,275,151. No contract funds will be obligated at the time of award. Funds will be provided under individual delivery order. Work will be performed in Jacksonville, Fla., and work is expected to be competed January 2014. If all options are exercised, work will continue through January 2016. Contractfunds in the amount of $5,500,000 will expire at the end of the current fiscal year. This contract was procured utilizing full and open competition, 100 percent Small Business Set-aside. The NAVSUP Fleet Logistics Center, Jacksonville, Fla., is the contracting activity (N68836-13-D-0004). 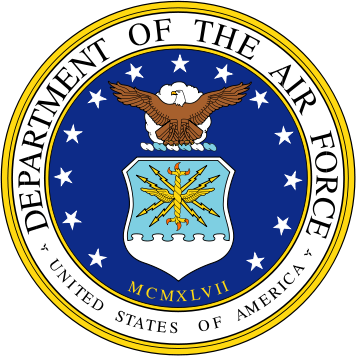 CSC Applied Technologies L.L.C., Fort Worth Texas, (FA3002-08-C-0001, A00167) is being awarded a $28,470,903 contract modification for Keesler Air Force Base Operatons Support Services. The location of the performance is Keesler Air Force Base, Miss. Work is expected to be completed by Jan. 31, 2014. The contracting activity is 81 CONS/LGCM, Keesler Air Force Base, Miss.